[Jesus, the Word] came into the very world he created, but the world didn’t recognize him. He came to his own people, and even they rejected him. Jesus had made everything in the universe, including the earth and all its peoples. Yet when he came to his very own chosen people, they did not accept him. Think a minute about what that means for us when we feel alone, deserted, misunderstood, forgotten, abused, ... . We HAVE a Savior who knows how badly it hurts to be rejected by those we love; he's experienced it. He knows what it's like to be spurned by one we treasure; he felt it repeatedly. He knows what it's like to be despised by those for whom we have made major sacrifices. So when we have those overwhelming times of heartbreak, we can go to him and know he is a caring friend who has been there. He hears us and will minister to our needs and listen to our cries. 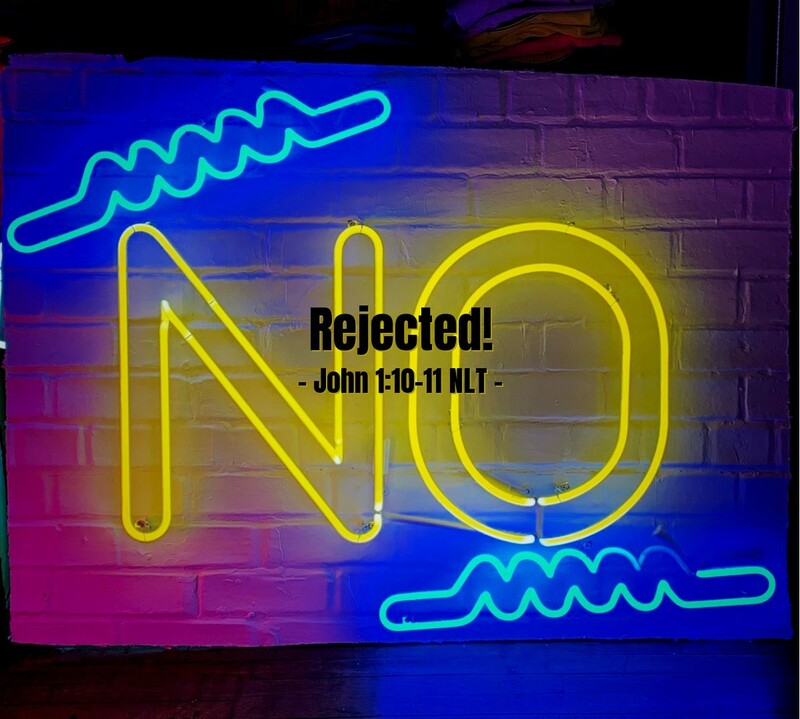 Father, it saddens me deeply to know that Jesus had to bear the pain of being rejected by those he loved, by those who watched him grow up, and by those for whom he sacrificed so much. However, dear Father, it gives me great comfort to know that he has experienced those losses and empathizes with me when I feel down, forgotten, abandoned, and forsaken. I know I can come to you, and he ensures me that I will receive grace to help me in my time of hurt and need. Thank you for being so intimately involved in this world. In Jesus' name, I pray. Amen.